This week we saw another victim to the all girls alliance in Survivor: One World. Jay was the next target of Kim and her minions, something he almost caused himself to do. Since I am assuming most of you reading this have actually watched the show, there will be little recapping and more discussion of the pros and cons of each person’s strategy. Last week Jay was against the idea of getting rid of Mike for fear of a girl’s alliance, but this week he changed his mind completely even arguing against Troyzan’s paranoia, telling him to trust the girls. A lot of criticism has been made toward Jay’s decision to try to stick with the new Salani alliance (Jay, Troyzan, Kat, Kim, Chelsea, Sabrina), but in trying to see things from his perspective, I have come to almost agree with what he did. Now, he definitely should not have trusted the girls as much as he did, but really what other choice did he have? When the tribes were switched Jay was smart to start making moves and asserted himself as a major part of the Salani tribe. Now if Colton had not been removed and either Christina or Alicia had been voted out, the guys would have had the advantage going into the merge, making him (or maybe Colton) who would be in Kim’s position. Aside from that, it would have given him more time to establish the new tribe and new alliance as something more permanent, rather than something to just last until the merge. Instead, Jay is forced into a merge where the guys and girls are even 6-6. He has to make the choice to either trust his new tribemates (who have the numbers advantage and are more logically sound) or join an all guys alliance that would feature incompetent players such as Tarzan and Leif, having to convince Michael to work with people he didn’t like, and probably having to be second in command to Jonas as he would be necessary in trying to get Christina to flip to his side. Those are just too many variables to trust in to try and get a guys alliance together. In that first merged tribal council, the girls pushed for Jonas to be voted out and the guys went along with it, assuming there was a guy/girl alternating deal. Should the guys have pushed for Christina to go instead? Probably more than they did, but what other option was there? When the girls tell them they are going to get rid of Jonas anyway, the best the men can do is force a tie, risking their own place in the game. Maybe a tie vote against someone like Alicia may have caused Christina to flip in a tie situation, but again this would require a bringing together of the illogical incompetent ones. In light of this I don’t blame Jay in trying to prove his allegiance to the girls by sticking with them through each tribal council. This week Jay pushed for Alicia to go and when Troyzan tells him his new plan to play his idol and gun for Kim he immediately goes to Kim and throws Troyzan under the bus. 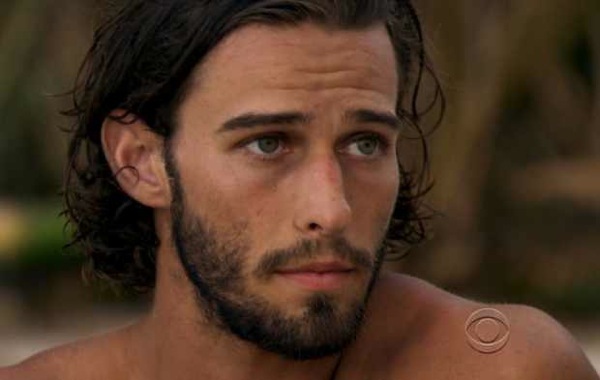 Maybe it would have been more beneficial for him to join Troyzan and try to get Christina and Tarzan to go along with him (he already seemed to have Leif with him) and get 5 votes for Kim to be out, but I think to him throwing Troyzan under the bus would prove to Kim that he was with them no matter what. His logic of getting Troyzan to play his idol, while getting rid of someone else was sound, if only he wasn’t that someone else. Looking back on it, Jay may have had some other options, but certainly none that looked as sweet as that promise of a final 3 with Kim and Chelsea. The variables of the other side did not seem worth the risk, but apparently neither was trusting Kim and Chelsea. The best edit for a girl ever? Aside from this defense of Jay, I have been cheering on Kim from day 1 (check out my predictions here) and unless she gets blindsided the next couple of weeks, I definitely think she will be considered among the ranks of one of the best female players of all time. It is refreshing to see an edit of female dominance, since there have been very few in Survivor history. Even Sophie last season wasn’t given as great of an edit as she probably deserved as a intelligent female player. Other women who have gotten as good of an edit would probably be Ami from Vanuatu, Stephanie in Guatemala, the Black Widow Alliance in Micronesia (Parvati, Cirie, Natalie, Amanda), and maybe Brenda for a bit in Nicaragua, all of which went on to lose (except Parv). It will be interesting to see if they continue to give this much credit to a female player who really is not that interesting other than for strategy and being a nice person. I will continue to cheer her on and to giver her props for everything she is doing. One huge credit she gets, is that she seems to be controlling every single person in this game. When she began to worry about Troyzan having an idol she simply decided to split the votes between everyone having 5 vote for Troy and 3 for Jay. When I first saw her say that, I thought to myself, ‘she’s going to screw herself over’, because in order to do this, she would have to get not only the girls on board, but Tarzan and Leif, who I was sure that if they told them to do so would simply turn on them and tell either Troyzan or Jay, thus screwing over Kim’s plan. But, lo and behold, her plan worked. She didn’t end up getting Leif, but Tarzan followed along with the plan, helping to get Jay out. This lead me to 2 questions, just what is Leif and Tarzan’s strategy? And what kind of deal is Kim making with them to get them to vote with her? If Kim is making these sorts of deals with them, she really is brilliant. They have nowhere else to go, and she is ensuring that they will stick with her rather than some other hail mary play that somebody else comes to them with. If I were Leif or Tarzan, I would continue to try and be a vote for sale in order to get myself along further in the game, this almost always seems to work at least for a while, (with Dolly in Vanuatu and Christy in the Amazon being the exception). I would try to stir something up and make myself and invaluable part of someone’s vote, otherwise their demise will be soon. That is all for this week, later this week I am going to make a list comparing each remaining player to others in previous Survivor seasons.